The José María Martín Carpena Sports Hall is adjoined by other important sports facilities. These include the Málaga Aquatics Centre, home to the 2008 Men"s European Water Polo Championship, and the new Málaga Athletics Stadium, hosting the Spanish Athletics Championships 2011. One of Málaga"s iconic buildings, the Martín Carpena is the home of the city"s basketball team, Unicaja, ACB and Euroleague games. In addition, it plays host to all kinds of sports events, concerts, shows, events and conferences for various trades. 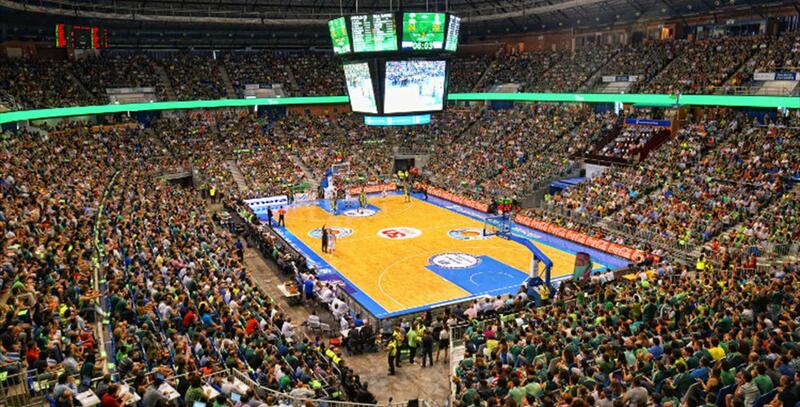 Chosen to hold the Basketball Copa del Rey in 2001 and 2007, Málaga"s Sports Hall is part of the NBA European Circuit. Covering 30,000m2, it has hosted some leading tennis events too, including the Davis Cup semifinals in 2003 and the Málaga International Tennis Masters Series every year. The Martín Carpena Sports Hall can hold as many as 11,300 spectators in sports events and over 10,000 in concerts, which makes it a much sought-after venue. Access to the Sports Palace through Avenida de Andalucia and continuing along the western ring or the Paseo Marítimo Antonio Machado.